“The third annual San Antonio Cocktail Conference proved to be even more successful than we could have anticipated,” said Chef Mark Bohanan, founder of San Antonio Cocktail Conference. “The contributions of everyone, including our presenters and attendees, are the true backbone of this event and we simply could not have come this far without their continued support.” And to continue this great momentum, San Antonio Cocktail Conference will once again bring this fan-favorite for locals and visitors alike to the Alamo City from Jan. 15 – 18, the fourth annual event of its kind in the southwest. San Antonio Cocktail Conference was created to bring together cocktail experts, top bartenders, sponsors, and cocktail aficionados to drink and dine while enjoying guided tastings, competitions, cocktail parties and educational seminars. To continue in the unique tradition, 100 percent of all money raised during the conference will be donated to children’s charities. Volunteers, sponsors and patrons of San Antonio Cocktail Conference have made it possible to donate more than $230,000 to save children’s lives. “Pouring our Hearts Out – Cocktails for Children’s Charities” is a mission that has been dear to the hearts of everyone who works on the conference. Past recipients include ChildSafe and HeartGift San Antonio. Like its predecessors—Manhattan Cocktail Classic and New Orleans’ Tales of the Cocktail—San Antonio Cocktail Conference is all about the art of the crafted cocktail, the creation of the drink and the creativity of the person mixing the drink. The weekend of events begins with Opening Night at the historic Majestic Theatre on Thursday, Jan. 15. This year, the conference is creating flooring over the seats of the theatre and opening up the stage. Guests are welcomed to this signature “kick-off” of San Antonio Cocktail Conference from atop the grand marquee and enter the Majestic Theatre to enjoy a beautiful party and stellar celebration with a variety of live music and culinary favorites offered throughout the venue to accent the cocktails. The evening event on Friday, Jan. 16 will take place at the historic St. Anthony Hotel. This is truly a night to remember. 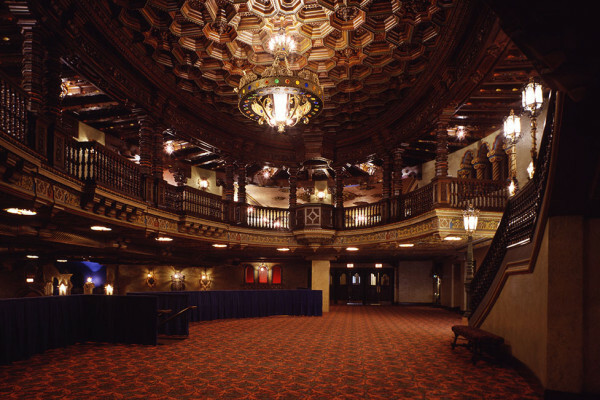 With a unique blend of old New York Edwardian-era décor and romance reminiscent of the Waldorf Astoria (the world’s foremost grand hotel) and old Texas charm, The St. Anthony is truly a San Antonio gem and the perfect place to celebrate. 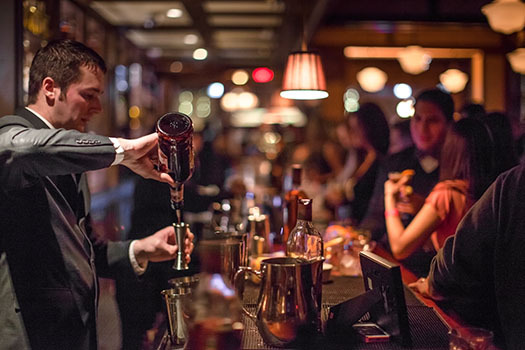 Guests will experience libations paired with music and food in the grandeur of the beautiful hotel lobby bar, The Peraux Room, The St. Anthony Club, The Georgian Room and the famous Anacacho Room. Cocktail seminars will be offered throughout the day on both Friday and Saturday, giving industry professionals, cocktail aficionados and novices alike the opportunity to hear from some of the best in the business on topics from “Home Cocktails for a Crowd” to “The Use of Specialty Herbs in Cocktails” and “Making Your Small Bar a Big Business.” All of these seminars will take place at the Sheraton Gunter Hotel or at local downtown bars. Saturday afternoon includes one of the highlights of the weekend, the Tasting Room. Held in the Crystal Ballroom of the Sheraton Gunter Hotel on Saturday, Jan. 17 from noon to 5 pm, the Tasting Room is a showcase of spirit brands, including tastes and a chance to visit with brand representatives and master distillers. 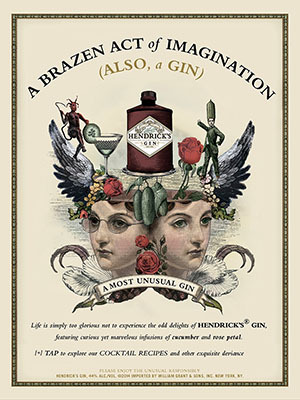 There is a book store, merchandise outlet for Cocktail Conference memorabilia, bar tools, and lots to see and sample. It is a popular destination for participants and a fun afternoon for everyone involved. Saturday Night in Downtown San Antonio brings guests to the hub of late-night San Antonio where they can wander between three great parties throughout the evening. With a live orchestra on the street corner and a plaza party with food, beverage and live music book ended by two beautiful parties at Bohanan’s Restaurant & Bar and Lüke Riverwalk, the party atmosphere will be felt up and down Houston Street. Sunday, Jan. 18 is the closing day of the conference and features the William Grant & Sons Original Cocktail Contest, where some of San Antonio’s well-known bartenders go up against their own regular customers and newcomers too, in a competition for cash prizes. Audiences love this event and there will be ample amounts of both food and drink for the tasting for those who aren’t behind the bar! 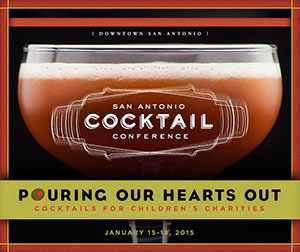 The contest will culminate with a Closing Celebration to mark the end of San Antonio Cocktail Conference 2015. With the chance to learn the tricks of the trade straight from cocktail experts and the opportunity to taste exceptionally-crafted cocktails surrounded by music headliners, delicious cuisine and an all-around good time—and all for a good cause—San Antonio Cocktail Conference tops the list of must-attend events for 2015.